It may not have been a 750-pound Mako, but this small shark sure does pack a rather big bite. Big enough to make a large fisherman scream like a little girl. Just as he thought he had caught himself some diner, this fisherman’s hand would turn out to be the only meal being served on the boat. 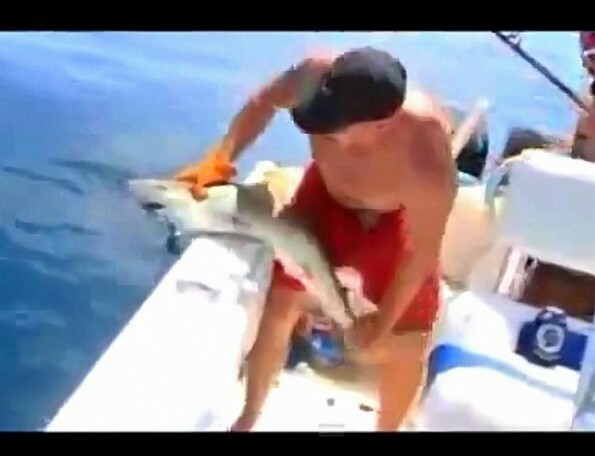 I’m still left wondering what he was thinking when he decided to use his hand so carelessly to take the hook out of the shark’s mouth? This may not be the worst way to lose a fish, but it is without a doubt the most painful.